TRUST HOUSES Ltd Leased from some time after 1928 (by 1934). On Thursday 27th March 1873, Mr. G. F. Crane sought to recover the sum of £13 19s 7d from a Mr. Edward Preston. The defendant agreed to repay at £4 a month, but the representative for Mr. Crane said the offer would be accepted only if the repayment was £1 per week. An order to liquidate the order was thus made. Rebuilt 1910, allowing better access to Cobholm. For Sale by Private Contract March 1862. 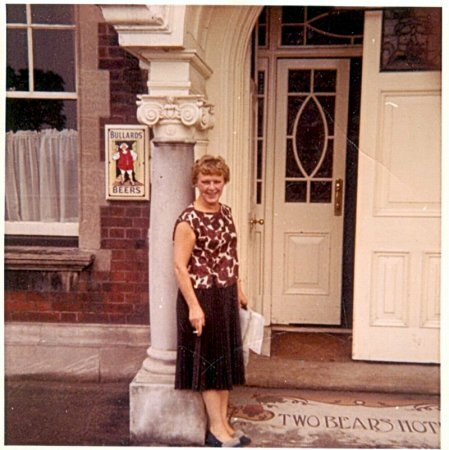 Comprising upper and lower Coffee-rooms, Refreshment Bar and Parlour, Ladies' Sitting Room and 8 Bedrooms. Water Closet, Kitchen, Scullery, Washhouse and Larder. Wine, Beer and Coal Cellars, Taproom and other Offices. Bowling Green, Kitchen Garden, Stabling for 7 Horses, Loose Box, Chaise-house and carriage Sheds. The whole containing 0A 2R 33P and in occupation of Mr. George S. Smith as a yearly tenant from Lady-day. Offered For Sale by Auction 3rd July 1862. Description as given in March of that year. 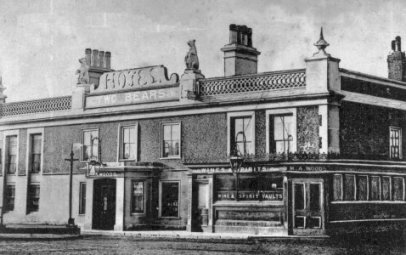 Given as the BEAR HOTEL, High Road, Gorleston in 1871. Plans to turn into `Supported accommodation for the homeless' opposed November 2011. Site of a retail business 2014.